A wise man once said, “When a woman walks in a room, her hairstyle walks with her.” Even Martin Luther commented that hair is the richest ornament of women. Hair portrays a woman’s personality. Every woman styles their hair to tell the world who they are. Is it a bold and fierce soul beneath those subtle curls, or a shy and playful young girl hidden in the length of the straight hair? A woman does every possible thing to keep their hair just the way they want it. And because we feel the emotions a woman attaches to her gorgeous hair, we have brought you an amazing product that will make the strands of your hair turn into silky, loose curls. Yes, the amazing Bed Head Curlipops sweeten up your hairstyle and get you ready to rock in no time. This unique product is meant for females who believe that stylish hair makes them bold and beautiful. Bed Head Curlipops gives you curls that speak for you. It’s best suited for looks that demand attention and have the charisma to make every head turn in their direction. The curler machine comes with different barrels, each one matching your moods to either make a change in the texture of your hair, give them some volume, or just let them be free and fly with style. Shape your hair the way you like it without worrying about damage because the barrels are designed with tourmaline ceramic technology that maintains the smoothness of your hair. Moreover, the Curlipops are packaged in shiny metallic bodies in a variety of attractive colors. And best of all, the product comes at an affordable price. When it comes to styling, the Bed Head Curlipops share your concern. That’s why they are crafted to break every boundary and give you a look that makes you stand out among the crowd. You can choose different Bed Head Curlipop products that go with your mood. Whether you want to doll up for a party with your girl gang or want the attention of someone special, Bed Head Curlipops are designed for it all. The curler caters to the desires of every personality. Moreover, styling is quick and easy with this equipment. No matter which generation you belong to, curls are loved by all women, young and old. From heavy curls to loose ones, curls make a style statement every time they are worn by a woman. Curls go with every personality and they enhance your sharp features even more, making you a showstopper when you walk into any room. Style is an important part of your personality and to style up your hair, choose the best—the Bed Head Curlipops. Bed Head Curlipops are created for women who believe in being different, who carry themselves with boldness and poise that’s so graceful, all the tables turn in their favor. These products vary in the size of the barrel because that finally decides the look. 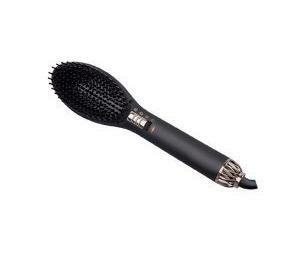 The BH313 gives loose curls with 1” barrel, whereas the tousled curls are done by the 1¼” barrel of the BH353 curler. Similarly, the 1¼” tapered barrel of BH341 results in voluminous curls and waves, and on the other hand, the 1” spiral barrel styles up the hair in springy spiral and vivacious curls. For kink-free curls, you can pick BH318 with a tapered barrel, and to get the curls that are little in the middle and fuller at the bottom, go with the curlers offering a reverse tapered barrel. We believe in having fun, and that’s why these products come in shiny colors ranging from metallic pink to metallic green. Other colors like purple, red, orange and blue are also available. The Bed Head Curlipops have been created with the protection of your hair in mind. The manufacturers know that, with styling, the texture of your hair is equally important, and thus, the Bed Head Curlipop products are designed with tourmaline ceramic that styles up your hair without frizz. 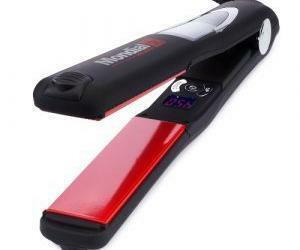 It also maintains the smoothness of your hair and gives the curls a shiny look. Moreover, the clamp-free wrap-and-go design helps you get the curls of your choice in no time. All Bed Head Curlipop products heat up in a maximum of three minutes. The products can work on dual temperatures worldwide but the maximum temperature to which you can safely heat up the curlipop is 400°F. The heat recovery is good and it can easily curl up the entire length with consistency. These curlers comes with heat protective glove that protects the hair from going rough and dead. Too much heat without any protection can burn your hair as well as damage your scalp, and thus, the heat protective glove is one of the most interesting feature of the Curlipops. Another feature that stands out about Curlipops is the 6-foot tangle-free swivel cord. 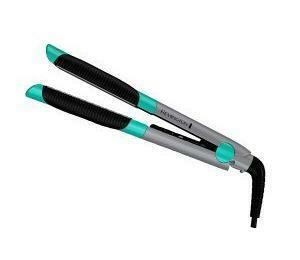 This increases the longevity of the curler by reducing the chances of damage. If you are getting late for a party and quickly need a jaw-dropping look, pick up the Bed Head Curlipop and plug it in. Heat it up to a max temperature of 400°F for 1 to 3 minutes. Once the curler is heated, take a 1” section of hair and wrap it around the barrel. Because the rod is clamp-free, it is very easy to wrap hair around it. Start wrapping from the root and reach downwards to the tip. Remember to keep the iron’s face downwards. Keep on wrapping the hair altering to right and left. This will give your hair a wavy and tousled look. The whole process is quick and easy, taking a maximum of 10 minutes. It is perfect for when you’re late for your morning shifts at work or don’t have much time before rushing to a party. In such situations, just divide your hair into two layers, further divide these layers into five small sections, and curl them into the volume you want. The manufacturers designed the Bed Head Curlipop products in a way that you can style your hair but keep the natural look alive. Depending on the volume of the curls you wish to wear, you can hold a piece of hair for 10 to 15 seconds longer. The heat protection and ceramic plating make these curling rods outstanding in terms of quality. The whole process is quite easy as well as safe. And if you are worried about injuring your hands because of the heated rod, rest easy because the Bed Head Curlipops come with a glove. Users can wear it while wrapping the hair around the wand; this will protect the hand from the heat. Just choose the look you’re going for, pick up the respective barrel, and you’re ready to rock the floor in the blink of an eye. Created with tourmaline ceramic technology. Designed to give frizz-free and shiny curls. Works on dual voltage all over the world. Heating capacity up to 400°F. All the above-mentioned features make the Bed Head Curlipops worth a try. Moreover, these curlers are lightweight, weighing up to 12.2 ounces and with a shipping weight reaching up to 15.2 ounces. The tangle-free cord makes the product easy to carry and safe to use. It is best suited to give a wavy, natural look to your hair; it’s extremely easy to use and never goes out of style. It is clear from these features that the Bed Head Curlipops are designed and integrated with the latest technologies that neither compromise on style nor on the health of the hair. 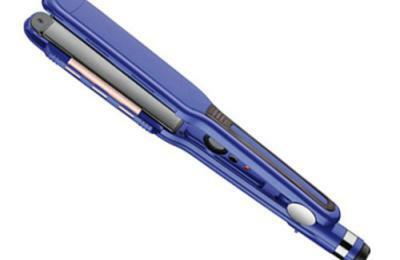 Even beginners who have no idea how to curl their hair can use these products with ease. Moreover, the Bed Head Curlipops are available at affordable prices and thus are must-have tools for anyone who’s serious about their curls. In this article, I’ve mentioned the use of tourmaline and ceramic technology in the manufacturing of Bed Head Curlipops. I have also pointed to them as a modern technology that keeps the quality of the hair in check and give you a natural wavy look. But what is tourmaline and ceramic technology? Let me brief you on the terms. When it comes to beauty products and, more specifically, to hair-styling products, the words “tourmaline” and “ceramic” are readily sought-after. Tourmaline is a silicate crystal incorporated in the hairstyling equipment to enhance the smoothness of the hair. Researchers have reported the presence of positive ions in damaged and rough hair; the tourmaline crystals emit negative ions that counteract the harmful positive ions, and this mechanism makes the hair look smoother and shiny. Moreover, the addition of the silicone crystals also help retain moisture in the hair follicles and thus avoid the frizzy look. Another term that is frequently used while discussing hairstyling products is ceramic plating. Unlike aluminium- and gold-plated products, ceramic plates allows smooth gliding of hair through the rods. The smooth texture of these plates prevents the tugging and breaking of the hair that is a typical complaint involved with products that use aluminium or gold plates. Both ceramic plates and tourmaline are incorporated in the Curlipops. The technology involves crushing tourmaline crystals into a fine powder which are then baked onto the ceramic plates. Therefore, the Bed Head Curlipops are one of the most looked-for pieces of curling equipment. The tourmaline and ceramic plating used in the design of the rods successfully gives smooth, shiny and natural curly waves. But always be careful while choosing beauty products. There are number of manufacturers who claim to use the tourmaline and ceramic technology but instead of the plates, the rods are just coated with ceramic sheets. Such rods work for a short time and after a few uses, the ceramic coating starts to chip off. This is extremely harmful to your hair and can result in dead and rough hair. And because a woman wears her hair as an armour, there should not be any compromises made on its health and beauty. Bed Head Curlipops are widely used hair-styling products around the globe. Curlipops use the latest technology, making these products very popular among women. 1) My hair was frizzy and dull. Before every party, I used to get anxiety attacks about how to manage my hair into some decent-looking style. Then I came across the Bed Head Curlipops. The amazing range offered by these products, with all the different barrels, gives me an altogether different look every time I step out of my home. Also, my hair now has a shine and it looks so perfect. Thanks to this life-saving product, my anxiety attacks have gone to hibernation. 2) I have naturally straight hair and no matter how much I try to get a new look, every style stays just for few hours. This was one of my biggest problems because I am a person who loves to experiment. And then my friend suggested me to use the range of curling products by Bed Head Curlipops and I was stunned to see the beautiful curls last for a full day. Now I keep on experimenting to get new looks, sometimes with the tapered barrel and at times with the spiral barrel. Curlipops are my new style. Because the manufacturers of the Bed Head Curlipops love the way you love your hair, they have taken care to design a unique range of curling products that solve your styling problems and give you a natural-looking style.